^ Kenrick, John. G&S Story: Part III, accessed 13 October 2006; and Powell, Jim. William S. Gilbert's Wicked Wit for Liberty accessed 13 October 2006. ^ a b The last phrase is a satiric take on Cicero's De Legibus, 106 B.C. See Green, Edward. "Ballads, songs and speeches", BBC, 20 September 2004, accessed 16 October 2006. ^ a b c The Cambridge History of English and American Literature, Volume XIII, Chapter VIII, Section 15 (1907–21), The full quote refers to Pygmalion and Galatea and reads: "The satire is shrewd, but not profound; the young author is apt to sneer, and he has by no means learned to make the best use of his curiously logical fancy. That he occasionally degrades high and beautiful themes is not surprising. To do so had been the regular proceeding in burlesque, and the age almost expected it; but Gilbert's is not the then usual hearty cockney vulgarity." ^ Gilbert, W. S. Foggerty's Fairy and Other Tales (1890), pp. 158–59. ^ Stedman (1996), pp. 26–29. See also the introduction to Gilbert, W.S. (1908), The Bab Ballads, etc, which details the history of the collections it was drawn from. ^ Stedman (1996), pp. 16–18. See also Tom Robertson's play Society, which fictionalised the evenings in Evans's café in one scene. ^ Ainger, p. 148 and Stedman (1996), pp. 318–20. See also Bond, Jessie. Reminiscences, Chapter 16 and McIntosh. ^ David Eden (in Gilbert and Sullivan: The Creative Conflict 1986) suggests that this play was by, or in collaboration with, Gilbert's father, although Crowther says that Eden gives no foundation for this suggestion. See Crowther, Andrew, The Life of W. S. Gilbert. ^ Stedman (1996), pp. 34–35. ^ a b c Bond, Jessie, Reminiscences, Introduction. Bond created the mezzo-soprano roles in most of the Gilbert and Sullivan operas, and is here leading in to a description of Gilbert's role reforming the Victorian theatre. ^ Gilbert gave a speech in 1885 at a dinner to benefit the Dramatic and Musical Sick Fund, which is reprinted in The Era, 21 February 1885, p. 14, in which he said: "In ... the dress circle on the rare occasion of the first performance of an original English play sits a young lady of fifteen. She is a very charming girl—gentle, modest, sensitive—carefully educated and delicately nurtured ... an excellent specimen of a well-bred young English gentlewoman; and it is with reference to its suitability to the eyes and ears of this young lady that the moral fitness of every original English play is gauged on the occasion of its production. It must contain no allusions that cannot be fully and satisfactorily explained to this young lady; it must contain no incident, no dialogue, that can, by any chance, summon a blush to this young lady’s innocent face. ...I happen to know that, on no account whatever, would she be permitted to be present at a première of M. Victorien Sardou or M. Alexandre Dumas. ...the dramatists of France can only ring out threadbare variations of that dirty old theme—the cheated husband, the faithless wife, and the triumphant lover." ^ Stedman (1996), pp. 69–80. ^ Andrew Crowther's description of Gilbert's style of humour. See also Gilbert's play, Topsyturveydom. ^ "Miss Anderson as Galatea", The New-York Times, 1883 January 23 32(9791): 5, col. 3 Amusements Downloaded 15 October 2006. ^ Wren, Gayden, 2006, A Most Ingenious Paradox: The Art of Gilbert & Sullivan, Oxford University Press, 2006, p. 13. ISBN 0-19-514514-3. ^ Cox-Ife, William. W. S. Gilbert: Stage Director. Dobson, 1978 ISBN 0-234-77206-9. See also Gilbert, W. S., "A Stage Play" and Bond, Jessie, Reminiscences, Introduction. ^ Cox-Ife, William. W. S. Gilbert: Stage Director. Dobson, 1978 ISBN 0-234-77206-9. ^ See, e.g. Stedman (1996), p. 269 (quoting a 30 April 1890 letter from Gilbert to D'Oyly Carte); Gilbert, W.S., A Stage Play; Bond, Jessie,Reminiscences, Chapter 4; PeoplePlay UK, D'Oyly Carte, etc. ^ Robert Morrison, in editorial notes to Henry Lytton's book, The Secrets of a Savoyard. ^ Walbrook, H. M. (1922), Gilbert and Sullivan Opera, a History and Comment(Chapter 3). See also Traubner, Richard. Operetta: a Theatrical History, accessed 29 June 2010, which quotes Sullivan's recollection of Gilbert reading the libretto of Trial by Jury to him: "As soon as he had come to the last word he closed up the manuscript violently, apparently unconscious of the fact that he had achieved his purpose so far as I was concerned, in as much as I was screaming with laughter the whole time." ^ Gilbert, W. S., Engaged, see also Feingold, Michael, "Engaging the Past" (Note the last paragraph, where Feingold writes, "Wilde pillaged this piece for ideas. "); Gardner, Lyn, Review of Engaged in The Guardian, etc. ^ Bond, Jessie, Chapter 4. ^ List of longest running London shows through 1920. This list shows that Pinafore, Patience and The Mikado each held the position of second longest-running musical theatre production in history for a time (after adjusting Pinafore's initial run down to 571 performances), and The Gondoliers was not far behind. ^ Foggerty's Fairy: Crowther, Andrew, "Foggerty's Failure," Comedy and Tragedy: Stedman (1996), pp. 204–05. Although Comedy and Tragedy had a short run due to the lead actress refusing to act during Holy Week, the play was revived regularly. With respect to Brantinghame Hall, however, Stedman (1996), p. 254, says, "It was a failure, the worst failure of Gilbert's career." ^ See, e.g. Jacobs, Arthur (1992); Crowther, Andrew, The Life of W.S. Gilbert; and Bond, Jessie, Chapter 16 Stedman (1996), pp. 264–65, notes some of Sullivan's cuts to Gondoliers to remove anti-monarchist sentiments. ^ Shepherd, Marc. "Introduction: Historical Context", The Grand Duke, p. vii, New York: Oakapple Press, 2009. Linked at The Gilbert and Sullivan Archive, accessed 7 July 2009. ^ Gilbert's Plays. 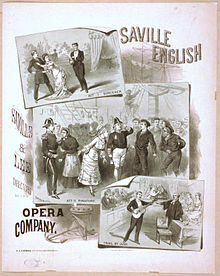 The Gilbert and Sullivan Archive at Boise State University, Retrieved on 2007-05-21. ^ Garrick Theatre history site. ^ Stedman (1996), p. 278. ^ Stedman (1996) p. 281. ^ Who Was Who in The D'Oyly Carte Opera Company: Nancy McIntosh at the Gilbert and Sullivan Archive. ^ "Soho Square Area: Portland Estate: Soho Square Garden" in Survey of London volumes 33 and 34 (1966) St Anne Soho, pp. 51–53. Date accessed: 12 January 2008. ^ Charles II Statue at LondonRemembers. ^ Stedman (1996), p. 343. ^ Stedman (1996), p. 328. ^ Dark, Sidney; Rowland Grey (1923). 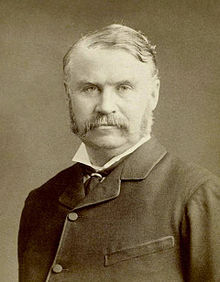 W S Gilbert: His Life and Letters. London: Methuen. pp. 157–58. ^ Grossmith, George (1888). “8”. A Society Clown: Reminiscences. Bristol/London: Arrowsmith. http://math.boisestate.edu/gas/books/grossmith/gg08.html. ^ a b c Downs, Peter. "Actors Cast Away Cares". Hartford Courant, 18 October 2006. Available for a fee at courant.com archives. ^ PG Wodehouse (1881–1975) guardian.co.uk, Retrieved on 2007-05-21. ^ Lesson 35—Cole Porter: You're the Top PBS.org, American Masters for Teachers, Retrieved on 2007-05-21. ^ Furia, Phillip.Ira Gershwin: The Art of a Lyricist Oxford University Press, Retrieved on 2007-05-21. Ainger, Michael (2002). Gilbert and Sullivan–A Dual Biography. Oxford: Oxford University Press. ISBN 0-19-514769-3. Bond, Jessie (1930). The Life and Reminiscences of Jessie Bond, the Old Savoyard (as told to Ethel MacGeorge). London: John Lane, The Bodley Head. Bradley, Ian C (2005). Oh Joy! Oh Rapture! The Enduring Phenomenon of Gilbert and Sullivan. Oxford University Press. ISBN 0-19-516700-7. Cox-Ife, William (1978). W. S. Gilbert: Stage Director. Dobson. ISBN 0-234-77206-9. Gilbert, W. S. (1890). Foggerty's Fairy and Other Tales. London: George Routledge and Sons. Gilbert, W. S. (1875). Original Plays: First Series. London: Chatto and Windus. Gilbert, W. S. (1908). Original Plays: Second Series. London: Chatto and Windus. This book is available online here. Gilbert, W. S.; Isaac Goldberg (ed.) (1931). New and original extravaganzas, by W. S. Gilbert, Esq., as first produced at the London playhouse. Boston: Luce. OCLC 503311131. Jacobs, Arthur (1992). Arthur Sullivan–A Victorian Musician (Second Edition ed.). Portland, OR: Amadeus Press. Pearson, Hesketh (1957). Gilbert: his life and strife. London: Methuen. Stedman, Jane W. (2000). W. S. Gilbert's Theatrical Criticism. London: The Society for Theatre Research. ISBN 0-85430-068-6. Scott, Mrs. Clement (c1910). Old Days in Bohemian London. New York: Frederick A. Stokes Company. p. 71–72. Wolfson, John (c1976). Final Curtain: The Last Gilbert and Sullivan Operas. London: Chappell & Company Ltd.. ISBN 0-903443-12-0. Browne, Edith A. (1907). W. S. Gilbert. London: John Lane company. The book is available online here. Bradley, Ian (1996). The Complete Annotated Gilbert and Sullivan. Oxford, England: Oxford University Press. ISBN 0-19-816503-X. Crowther, Andrew (2000). Contradiction Contradicted–The Plays of W. S. Gilbert. Associated University Presses. ISBN 0-8386-3839-2. Gilbert, W. S. (1969). Edited and with an Introduction by Jane W. Stedman.. ed. 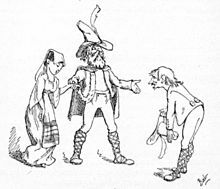 Gilbert Before Sullivan–Six Comic Plays by W. S. Gilbert. Chicago: The University of Chicago Press. Gilbert, W. S. (1932). Deems Taylor, ed.. ed. Plays and Poems of W. S. Gilbert. New York: Random House. Gilbert, W. S. (1976). The Complete Plays of Gilbert and Sullivan. New York: W. W. Norton and Company. Grim's Dyke Hotel, the Gilberts' former residence. W. S. Gilbert Society Journal article about the discovery of a sketchbook claimed by the owner to be by Gilbert. The next issue published letters criticising the attribution.